This time my batch of Clay dough is being utilised for making miniature clay flowers .These daffodils have been made with cutters meant for other flowers. 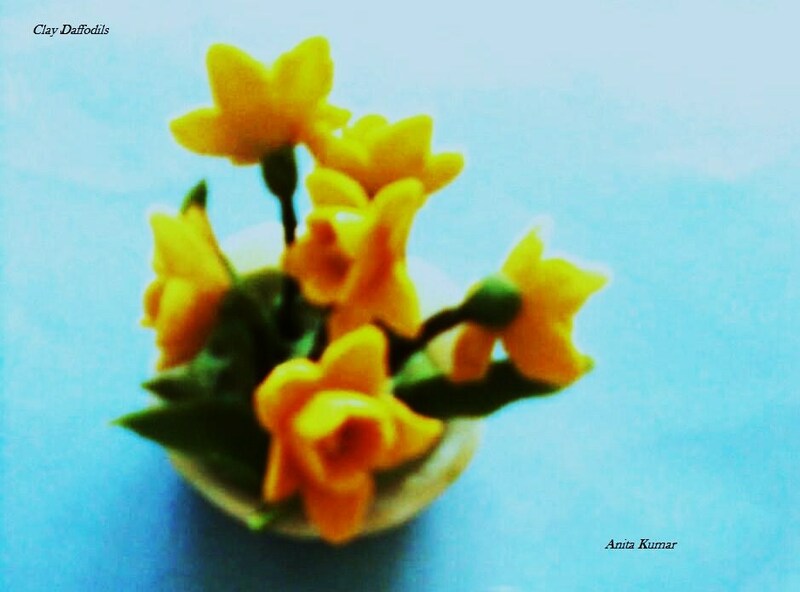 The cheerful daffodils are small , perfect for keeping on counters and tables . 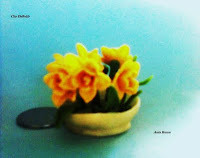 During my schooldays I read and learnt by heart Wordsworths poem Daffodils , the imagery remains etched in my mind of yellow daffodils dancing in the breeze ! 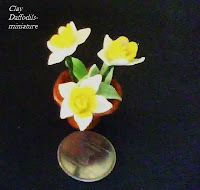 I have never seen daffodil flowers in my life but would love to see them !